St Andrew’s United Church is holding a Lent Study Course at 11 a.m. each Wednesday from 4th to 25th March . Looking further ahead there will again be a “Staycation Week” taking place in August. This is for everyone in the community so look out for more details nearer the time. Messy Church for children of primary school age and their families – second Sunday of each month (except April) 4.00 – 5.30 p.m.
Do you remember life at ‘The Dome’ years ago? Ss Peter, Paul and St Philomena’s Church is making a short documentary film as part of its second Heritage Lottery Fund Project to restore the church. The church is collecting interesting stories about ‘life in the early days’ to record them digitally for posterity. The film will become part of a new ‘Information Point’ in the porch of the church and also be screened on www.domeofhome.org . After successfully completing its first HLF Project in September 2014, The Dome has embarked on a second project, worth up to £250,000 from Lottery funding, a real boost to the local economy. The major works should begin again in April/May 2015 to continue restoration on the west and south elevations. Preparation work has already started with widening of the gateway for construction vehicles. Local residents have been pleased to see the recent repair of the boundary wall, helped by Ss Peter and Paul’s School’s ‘Wall of Coins’, and Wirral Borough Council’s ‘Love Wirral’ and ‘Wallasey Bright Ideas’ Funds. Have you any memories or photographs? Would you like a special invitation to the filming event with Afternoon Tea, Tour and Reminiscences? Maybe even meet old friends? on Saturday 25th April ??? Find out plans for the future. To reserve your invitation, please post the form below, to: The Presbytery, 7 Atherton St, New Brighton, CH45 9LT. Breaking news …. Lunch Club reopens shortly! We are delighted that our customers have been able to sit out on the terrace many days in January and February, enjoying drinks and snacks. The new notice on the promenade railing is attracting even more customers. We will be extending our opening times again at Easter to 10-5. The Orangery has been booked for a number of private parties too and guests are really appreciative of the welcome and freshly prepared buffets and afternoon teas we serve. We can cater for up to 40 guests and work with each host to cater for their particular requests. Please call 638 2666 and ask for Sue or Jane to give more information. The Lunch Club continues to run Monday and Friday but during this season we are offering senior citizens a special deal, from noon to 1pm Monday-Friday: soup, main course and a regular tea or coffee for £3.00. This offer will have to close 27th March. However, there are vacancies within the Lunch Club that runs all year if you or anyone you know would like to attend on a regular basis. Transport offered for Lunch Club members only. Please call 638 2666 Monday or Friday morning and ask for Gloria. Vale Kids continues to thrive Monday-Friday 9:15-12:15. The families love the atmosphere and the advantage these kids have to play safely in the beautiful park most days. We have an arrangement to have sole use of the enclosed Bandstand area with plenty of outdoor toys. There are vacancies from time to time. Please call 638 1386 and ask for Louise. Do you need free debt advice? The Debt Centre has now been running over two years and many of our clients are being set free from the burden of their debts. People’s lives are being transformed. One client says he can now live without the dependency on drugs to numb the depression he felt. Another guy, who had lost his self-esteem is now helping the Centre Manager deliver leaflets and attends Church. We have stood in court with a few clients and the debts have been wiped away. Our latest course started in January at Community Soul Café with nine delegates. Each was able to share what they remembered from their childhood of money and finances in their household. Every person had a completely different story and all agreed they wanted to get their finances under control. The first session explains how to build a budget; list your income and expenditure. The second session offers ways to make the budget balance; cut costs, cut back and cut out. Then arrange bank accounts to ensure the direct debits are paid on time, there is ready cash for living and savings for holidays, Christmas, the unexpected. The final session encourages delegates to live by cash and monitor their budget on a regular basis. Over 90% of delegates find the course exceedingly helpful and determine to make changes in the way they manage their finances. Courses can be arranged for any group regardless of current income; high earners and those on low income all benefit from following the principles. It revolutionises the way we view our finances. CAP Money is free to all; the best money management course available and now partnering with DWP. For more information contact the local CAP Money Co-ordinator, Shirley Bowen. shirleybowen@capuk.org and mob 07816563688. 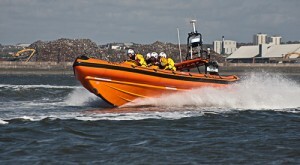 Last year turned out busy again for our lifeboat station with 44 launches between our two craft and 41 people rescued. In addition there were 14 times when we received a ‘shout’ but the situation was resolved before we actually reached the water and were stood down. The rescues were very varied from swimmers in difficulty to craft with mechanical failure to people stuck in the mud or cut off by the tide. We have started the year with a spate of call outs to assist walkers cut off by the tide and can only stress again that the tides in this area come in very quickly along the many gullies and channels surrounding our sand banks and you can easily be cut off by the tide several hours before high tide. Information on tides are available via Google search, via the Sea Safety page on our website and also Apps for Smart Phones. Tide Table booklets are available for order on the internet and also stocked by some stationers. 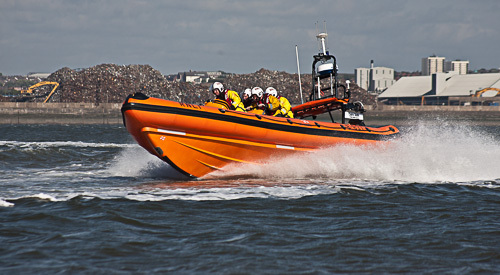 Many of you may have noticed that our usual lifeboat B-837 Charles Dibdin has not been around for several months and we have been operating with B-870 John and Louisa Fisher which is one of the RNLI reserve fleet. The Charles Dibdin came into service in 2010 and was due for a complete strip down, overhaul and re-fit with upgraded technology. This has been completed and it is now back in service. On ‘shouts’ and during our regular exercise’s our craft often take a hammering and its a vital part of RNLI operations that our craft are kept in tip top condition. Its an expensive but essential part of maintaining our fleet so that our crews can carry out their vital lifesaving role with the best possible equipment. We have one of the RNLI reserve fleet craft in operation at the moment H-007 Samburgh in place of our normal craft H-005 Hurley Spirit which is away and currently undergoing maintenance. A vital and unique skill needed for the hovercraft is that of pilot, as effectively when underway you are flying and your course is very much affected by wind and wave height. Its vital that we have a bank of crew fully trained and holding a suitable pilots licence. Currently several of our crew are undertaking this training so don’t be surprised to see the hovercraft in action but with no one about that needs rescue!. The scheduled works are now virtually complete. Contractors D Morgan and their appointed sub-contractors are currently in the throes of undertaking essential snagging and remedial works along the prom. The only works outstanding are to the footway and carriageway on Victoria Parade by the junction of Virginia Rd, as Neptune’s site compound for the residential development impinges on this area. Once Neptune’s contractors have left the site then Morgan’s will return to complete the works in this area. It is anticipated that this will be done in April and well before the ‘celebration’ proposed in respect of the visit of the three Queens in May. Consequently the two way flow of traffic round the “plinth” cannot be realised until then. Work starts on March 9th to overhaul the Gorse Millennium Green, Gorsehill Road, New Brighton, and secure its future as an accessible green space for all to enjoy. It was created in 1998 when local public subscriptions and donations were matched by Millennium Greens Funding to purchase and convert surplus North West Water Authority land into a pocket park. As well as creating the park, the project also established The Gorsehill Millennium Green Trust, a registered charity managed by local volunteer Trustees. The trust is managing this work jointly with Groundwork Cheshire. The millennium green became an attractive place that can be enjoyed by local people of all ages and abilities. As well as it being an open space, the green has ‘wild’ areas where people can enjoy nature and wildlife at first hand. Over years the green’s infrastructure has become tired and worn. The Trustees were concerned that, while the site superficially looked nice, without a major overhaul it would become increasingly unsafe, threatening its future and making closure possible. The work starting on March 9th will involve resurfacing footpaths, replacing a boundary fence, improving signage and interpretation, planting locally native species of shrubs and trees, and managing woodland to protect and promote the gorse habitat. Running in tandem with the work will be programme of community events designed to increase use of the site and membership of the Gorse Millennium Green Trust, as well as inspire a young people to take on the responsibility of looking after the site. Funding for the work is coming from The Veolia Environmental Trust, who have awarded £21,600 through the Landfill Communities Fund, and United Utilities, who have awarded £10,000. United Utilities has been working close to The Gorse over 8 months spending £1million on upgrading the reservoir on Gorsehill Road. Rusty Keane, Chair of Trustees says, “The work will mean residents of all ages and abilities will be able to enjoy the improved green. It will ensure that it remains a safe and attractive space in which to play and discover nature. Gorse Millennium Green is located in a highly residential area and is a place where people enjoy the fresh air, exercise, meet others and pursue leisure activities and pastimes consistent with the shared enjoyment of the whole site. It provides a safe area suitable for community events and celebrations that help bring the community together, such as the Queen’s Jubilee. • Preserve the native Gorse ‘wild’ space as a haven for local wildlife. Groundwork Cheshire has worked for 30 year to make long-term commitments to supporting communities and working closely with other organisations to help improve the quality of life for people living in disadvantaged areas. We do this by ‘Changing Places & Changing Lives’. We partner with the public, private and third sector to deliver achievable solutions to on-going problems. We strive to ensure that work we undertake is sustained past the lifetime of the funding by the legacy of community ownership. Our approach is genuinely user led, where beneficiaries dictate and shape the direction of projects. By working directly with those communities we help them tackle; degraded and neglected open space; physical and mental wellbeing issues; lack of education; training, skills, unemployment and lack of support and activities for young people. In 2012-13, we improved 76 hectares of land for community use, with 2877 days of voluntary commitment given by adults. We are three local women ‘living the dream’ of running a tea shop selling our handcrafted items through our bimonthly ‘Pop Up Tea Shoppe and Craft Fair’. We have successfully run 6 such events and from early events held at Brightside, Molineux Drive, New Brighton we have now become established within Emmanuel Church Hall on Seabank Road. We have a growing reputation supported with growing customer and stall holder interest. The venue has disabled access and a café that offers the opportunity for people to catch up with friends over a drink and delicious homemade scones and cakes. Each event supports an identified charity. To date we have supported Brightside, RNLI [New Brighton], Macmillan Coffee Mornings and CHICs [Childrens Cancer Support Group] Charities are offered a table at no cost in order to promote themselves, raise awareness and fundraise. The craft stalls offer the opportunity to buy unusual cards and presents, all handcrafted to a high standard and sold at reasonable prices. 28th March 2015 10am -2pm when Age UK will be the charity of choice. 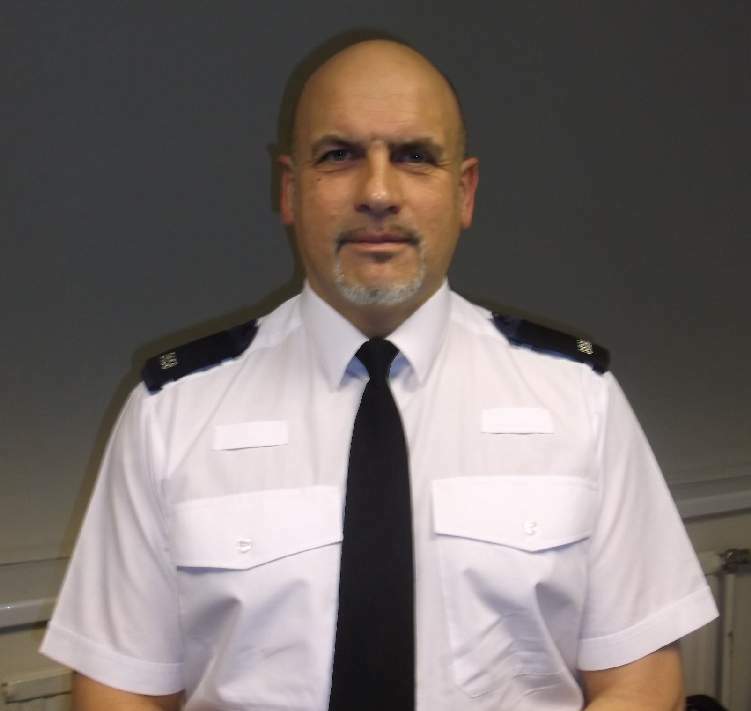 Let me introduce myself, I am Constable 8658 Gary Henwood the new Neighbourhood Dedicated Officer for New Brighton and Wallasey Village. I have been in Merseyside Police for 24 years all of which has been spent on the Wirral as a front line uniform officer. I thank my predecessor Constable Seb Hornby for all his hard work and dedication and am looking forward to working with the remaining team members, Inspector Peter Kolokotroni, Sgt. Kate Roberts and Community Support Officers Alyn Morris, Mary Dunk, Darren Widdowson and Ren Smith. 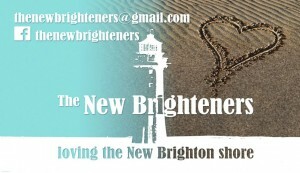 It is my aim to keep New Brighton and Wallasey Village a pleasant and safe place to live and work. To achieve this I need your assistance. We already have great ties with the community and our partner agencies however I want to make these connections stronger. I would ask all members of the community to remain vigilant and report any suspicious behaviour to me or any member of the team. Youth disorder in public places and the growing of illicit drugs (Cannabis Farms) has become prevalent across the country as a whole and New Brighton and Wallasey Village are not immune to this kind of behaviour. These areas will be getting specifically targeted by the team. If you know or suspect a Cannabis Farm is being operated please get in touch. Regarding youth disorder we are working in close partnership with the Wirral Anti-social Behaviour Team to have offenders evicted from their homes under legislation already in place. The message is clear if you are involved in this type of activity you will be arrested, prosecuted and if appropriate evicted from your home. Finally, on a lighter note I look forward to working with you and lets together move forward and keep our community a nice place to live and work. strong Liverpool flavour. Also appearing will be local Folkgroup Green Blades. Two of our children won the Chris Salmon poetry competition (Casey Burton 1st and Isabelle Waldron 2nd place). The competition held in memory Chris Salmon a Wirral pupil who lost his life tragically aged 15 with streptococcal virus and pneumonia. The competition attracts over 1000 entries. With orange strips of fire. They light up the way. Through the brightness of the day. Like waves bonding with the tide. Please use your shining glow. I can just swap your battery! In the last edition of Walrus I wrote about getting the best out of Christmas. Now, as the months have gone by, the time has come to think about how we can get the best out of Easter. Easter is a much longer season than most people realise. There are, as the carol reminds us, ‘twelve days of Christmas’, but there are many more days in Easter. This year Easter will last through April and then through most of May. It is a long season because it gives us so many things to think about. Just as Christmas is not just about Christmas trees and turkey dinners, so Easter is not just about chocolate eggs and Easter bunnies. As with Christmas, Jesus is the reason for the season. In fact in the early days of Christendom Easter and not Christmas was the most important Christian Festival. Jesus had an amazing life and had an extraordinary impact upon the world. Ordinary folk flocked to him but the high and mighty found him totally irritating. They came so to hate him that they devised a plot to eliminate him and they managed to engineer his death on the first Good Friday (which this year comes on April 3rd.) He died slowly and painfully hanging on a wooden cross. It was all supervised by a Roman execution squad. There is no doubt that he died. Roman execution squads knew their grizzly trade. However there is also no doubt that afterwards he was seen again and again, vibrantly alive once more. On the first Easter Sunday and then regularly during the following forty days a wide range of people encountered him. Sometimes he appeared to individuals, sometimes to small groups, sometimes to large groups, once to a crowd of over five hundred people. Christians were changed from a small group of frightened and beaten people, cowering away in an upper room, to a fearless band of witnesses who were not only transformed themselves but who went on the change millions of others. It all sounds like science fiction, but the evidence is so strong that a solicitor with whom I once discussed it told me it would convince any court in this land! At Easter we celebrate the fact that Jesus is not just a dead hero but that he can be a living presence for all, if we invite him to be with us. ‘I am with you always,’ he said, ‘even to the end of the age.’ Getting the best out of Easter involves not just knowing these Christian claims, but actually testing them in our own lives. Personally, I made the test as a teenager many years ago. I have never regretted it. As I wish you a truly happy Easter, I can do no better than remind you of Jesus’ Easter promise and suggesting that you have nothing to lose by testing it and discovering the difference which the living Christ can and will make, if we let him loose upon ourselves and on the world around us. My grandfather, who died in 1925 when my Mum was 22 months old was Editor of a local publication circulated to Members only. It was called ‘Afoot and Awheel’ a Ramblers and Cycling Club at the Methodist Church in Manor Road, now a care home on the site. This was in the very early 1900’s and I have copies of the one and only issues which were passed around the members. They’re full of stories, anecdotes, paintings, photographs, cartoons and musings by anyone who wished to contribute. There are many references to the stories of the day, especially the weather on rambles and cycles! There are many archivist who would like to see the four volumes but they’re too precious to let out of my sight, especially oil paintings by my Nana who died in 1980 aged 94, and photographs of her and my grandfather who we never knew, round and about the Wirral. Here is an extract from 1907 that I think you will be interested in. How cool is that? There’s nothing new, I presume it was for health and safety reasons but it doesn’t say so. Maybe that is the way we interpret things today! upcoming events – Sunday 22nd March 2015 – Attic sale £10 per table 10am -1pm, Saturday 28th March Charity night £10 per ticket live entertainment, hot and cold buffet and disco, Good Friday 3rd April “garden party” BBQ, refreshments, raffle, and lots of other activities 50p admission all welcome this is our chance to show the brand new Brightside Garden off!! Film Night: our next film is the Italian neo-realist classic, Umberto D . Time Magazine included it in its ‘Top 100 Films Of The 20th Century’. Public meeting on the future of libraries: Wirral TUC will be hosting a public meeting on 2nd March at 6.30pm on the future of Wirral’s library service. It will be held upstairs in the main library building. All library users are welcome to attend. They have also extended an invite to Friends of Wallasey Central Library and all local Councillors among others. The meeting is open to anyone. Come along and have your say. More details on this meeting when have them. Membership secretary: the Friends group have need of a membership secretary. We need somebody who can keep our membership records well organised, help increase member numbers and sort out renewals etc. If you’re interested, send us an email, come to one of our meetings, or speak to a member of the library staff. Book table: the small book table we run near the main entrance continues to tick over nicely, raising much needed funds for the library. We always welcome more donations though. If you have any books, DVDs, CDs, LPs etc that you don’t need, we’re always happy to have them. We love poetry: there will be poetry workshops at Wallasey Central Library for children next Saturday [Valentine’s Day] at 10am. Places are limited and must be booked. Contact the library for more details. There will also be poetry readings from 11am. National Libraries Day: last Saturday was National Libraries Day. The library held a coffee morning to celebrate. The Friends also held a special Saturday matinee, Brighton Rock, for people to enjoy. The Children’s Library had a special storytime. They also held a Harry Potter evening the previous Thursday. The library was packed with children and parents, and a good time was had by all. Well done to all those involved. Save Wirral’s Library Service online petition: there is currently an petition on the 38 Degrees website calling for Wirral’s library service to be protected. It currently has just over 2,000 signatures. Please visit the link below and sign it. It takes less than a minute. Friends membership: have you joined or renewed your membership of the Friends group? Mermbership costs £3 per year [£5 for couples]. Membership last for 12 months. Please fill in a membership form available from the library. We really need as many members as possible. The more members we have, the more we can to help our wonderful library. Twitter: we have a Twitter account at @FOWCL. A couple of months ago, there was a documentary on the BBC called, ‘Don’t Mess With Me’, presented by Sir Alan Sugar’s ex-sidekick, Margaret Mountford. In the programme she examines the problem of litter and set out to discover what it would take to keep our country free of litter and clean. 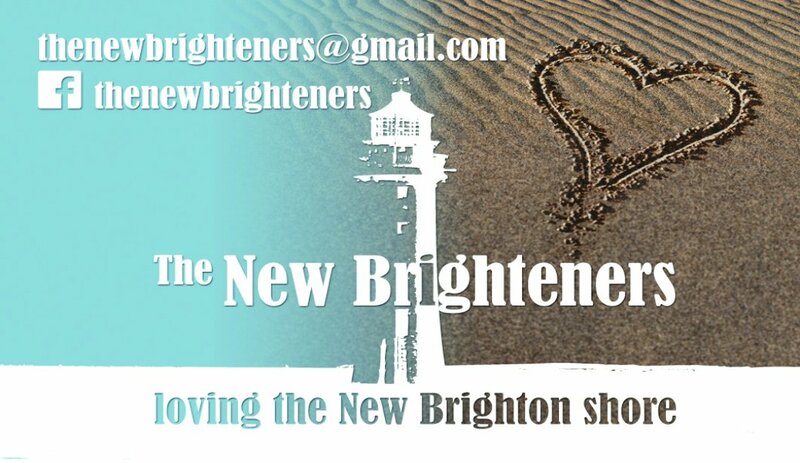 Despite being involved with beach cleaning, and seeing the result of litter on the New Brighton beaches on an almost daily basis, those of us who saw this programme were appalled. Consider this: in Brighton (the south coast one! ), every night, workers clear approx. Seven(!) Tons of litter and rubbish left on their beaches by the nightclub and takeaway food crowd. In Leicester Square in London, this one area needs a nightly team from Westminster Council to clear away the rubbish left by a similar crowd of revellers. We don’t have a litter problem in this country, we have a litter disease: an epidemic. Naturally, we could discuss the causes, the symptoms, and possible cures, but the question remains – what do we do about the litter on our streets, in our parklands, surrounding our houses, on our beaches and in our seas? One or two concerned individuals are also looking at their immediate locale: the streets where they live, and have started to litter-pick there. The New Brighteners, working with Cheshire Wildlife Trust, Wirral Coastal Rangers, Wirral Council and other Wirral groups, are hoping that 2015 will see more beach litter picking groups established around Wirral’s coast, but that is only a beginning. Increasingly, as a group, we are being challenged by litter at every turn. Litter is inescapable. Many people are doing what they can to fight this litter epidemic. So here’s the question: Are you helping to fight this plague of litter, or are you contributing towards it? In the programme, ‘Don’t Mess With Me’, Margaret Mountford, pledged to pick up one piece of litter a day. So how about it? Dare we say that is too much to do? Dare we argue that it’s someone else’s job? Dare we think that it won’t help? We must just do It! Anyone coming to New Brighton, or looking across the river at New Brighton, will see how two churches of very different design dominate the skyline. The Roman Catholic church ‘Dome of Home’, and the tall spire of the Church of England church of St.James. The spire is very tall and impressive, but has taken a battering from the winds off the Irish Sea for over 150 years. It urgently needs repairs. We have had a very significant grant from the Heritage Lottery Fund totalling £250,000, and we are actively seeking other grants. In addition our own funding and donation efforts have (‘InSpire’) have raised an additional £40,000 so far-a magnificent effort. In the summer there will be obvious and dramatic signs of the restoration under way, as scaffolders and builders scramble about! The spire is in such bad condition that a lot of it will need to be taken down before careful restoration and re-building. It is hoped that this phase of work will be finished by early 2016. This is only the first phase of a lot of restoration and hopefully imaginative re-ordering and re-decorating of the church, so that over the next few years the building will become an exciting and beautiful space for all sorts of community activity. Of course, the church will remain as a place for worshipping God, and for quiet reflection. To complete all our dreams it will mean raising around £900,000. We are on the way, but it is only the start of a journey of faith. Why not visit the church! As the New Brighton Heritage and Information Centre is now in St.James church you will find the building is open most days. You can find out a lot about our town from friendly volunteers, and watch some fascinating images of our history on DVD. Why not enjoy looking around the church? Stay for a cup of tea or coffee….and a promise that no one will pounce on you or try to sign you up for anything! But if you do visit, please sign the visitor book, as this is vital in our funding applications, to give an accurate idea of numbers of visitors. It goes without saying that you are warmly invited to our worship. There are various service times, but the regular worship time every Sunday is 11 a.m. If this article has prompted you to discover more about the Christian faith, or to want to visit the church building please feel assured of a warm welcome.